We'd like to know what your favorite pot is -- either comment below, or better yet, send us a photo ([email protected]) and we'll add yours to this blog post. Remember to tell us -- in a single sentence -- what you love about your pot. Can't wait to hear from you! I think you hit the real selling point, it's cute and that hands down justifies purchasing it. You are too funny. I agree with witloof - I love all clad, especially my 4 qt saute pan with a splatter screen and lid - perfect for just about everything, especially making a sauce and adding pasta at the end for a quick twirl before serving. 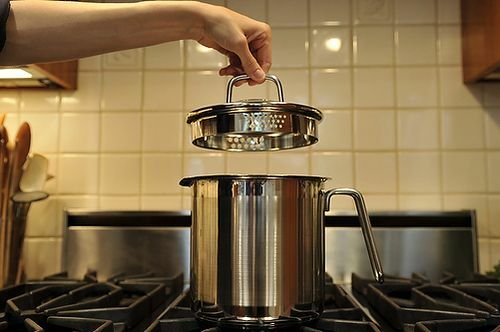 i use my all clad three quart pot every single day -- it is a good size to cook oatmeal, polenta, pasta, soup, or veggies for one or two, doesn' t have a hot spot, and is so easy to clean. That's a handy size. I use a 4-quart copper saute pan all the time, as well. Good for everything from blanching asparagus to braising chicken.